The George Dawson Inn is located in beautiful Dawson Creek on 8th Street (one of the main streets running through town). 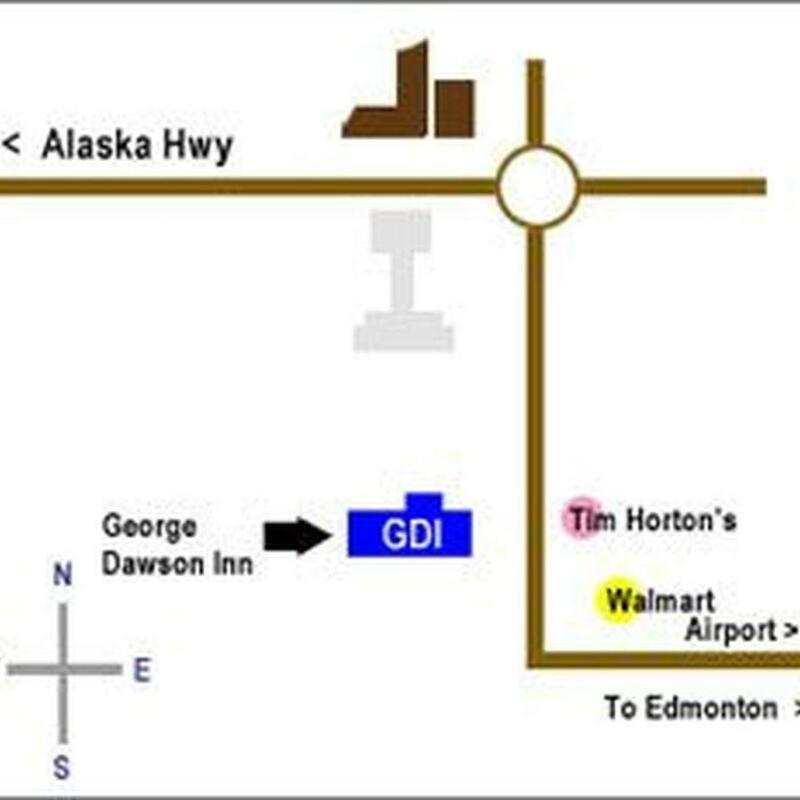 Only minutes from the Dawson Creek Airport, the GDI is directly across the street from the Canadian Tire Store, Tim Horton's Coffee, MacDonalds and 1 block from the Walmart. The hotel is within walking distance of the downtown as well as local shopping malls. Arriving via Grande Prairie / Edmonton - you will come into town on Hwy 2 past the airport and around the corner by the Walmart. We are located 1 block north of Walmart on the west side of 8th street. Arriving from Vancouver / Prince George - you will come in via Hwy 97S. Proceed east on the Alaska Ave until you hit the traffic circle. Then travel south towards MacDonlds Restaurant. We are located across the street from the MacDonalds and Tim Horton's.